Mallanum Mathevanum malayalam movie directed by Santhosh Gopal is having Sanjeev Murali and Saagar in lead roles. Sreeraksha Kalburgi is the heroine. Produced by Ullas Kilikolloor under the banner Devikala Films, the movie is blessed with the presence of Indrans, Thalaivasal Vijay, M R Gopakumar, Balaji, Kochu Preman, Bala Singh, Nellai Siva, Vijay Ganesh, Venkita Rao, Rajendran Nan Kadavul, Shibu Lanchan, Vinu Adimali and Mail Swami. 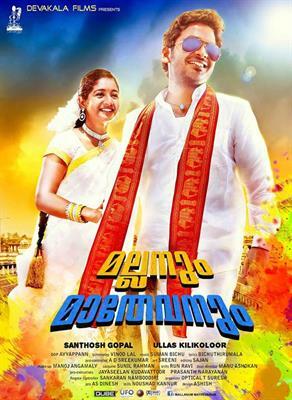 Mallanum Mathevanum is yet another malayalam movie which is gearing up for release. Directed by Santhosh Gopal, the movie features Sanjeev Murali and Saagar in lead roles. Sreeraksha Kalburgi is the heroine. Nan Kadavul fame Rajendran who became fame in a fortnight will play an important character in this thriller. He would don the lead villain the movie which is being made both in malayalam and tamil. 'Mallavanum Madhevanum' is having a group of debutante cast and crew who are looking forward to create their own space in the industry. It would also be a rare opportunity for the budding artists to show their talent on screen. Produced by Ullas Kilikolloor under the banner Devikala Films, the movie is blessed with the presence of Indrans, Thalaivasal Vijay, M R Gopakumar, Balaji, Kochu Preman, Bala Singh, Nellai Siva, Vijay Ganesh, Venkita Rao, Rajendran Nan Kadavul, Shibu Lanchan, Vinu Adimali, Mail Swami, Subhash Panikar, Sreejith Kaiveli, Anu, Vanitha Krishnan, Ashwini, and Ambika donning important roles. For the lyrics of Bichu Thirumala, the music is set by Suman Bichu. The story is of the director himself, while the screenplay is handled by Vinod Lal. Even though a number of movies are getting released this year, through 'Mallavanum Madhevanum', Santhosh Gopal wishes to render a different approach in filmmaking. After the final cut, the movie is expected to reach theatres by the third quarter of 2014. Some of the movies which are gearing up to entertain the audience include 'Manglish', 'Peruchazhi', 'Apothecary', 'Mallutty Sabu' and many others. As the taste of watching movies have changed, the filmmakers try to understand the interest of the spectators before starting their work. Those projects which is creamed with fun and thrill can attracts viewers to the theatres and keep them intact even though it comes with new faces. So get ready for a thrilling trip with an young team.